Crowdfunding valuations in the Netherlands, what’s the value of a promise? The crowdfunding market in the Netherlands has again doubled in size over the past year. According to last week’s press release of crowdfunding research company Douw&Koren, the amount of money raised with crowdfunding has grown from €63 to €128 million. At the same time, Douw&Koren says that 2016 will be the “moment of truth” for crowdfunding, as the growth rate seems to be stagnating. Last year, I wrote a sequel of two blog posts about the valuations of equity-based crowdfunding projects in the Netherlands (read them here and here). My conclusion was that I though that the valuations seem to be high and therefore hold a certain risk with regard to follow-on investments. But since investors were willing to invest, I guess the valuations were as close to market value as they could get. When I published the first edition of my analysis about crowdfunding valuations last year, the comments it got were pretty binary. Most of the responses – I reckon – were positive (“thanks for researching this”, “interesting results”, etc.) and some were (very) negative (“malicious”, “terribly researched”, etc.). Interestingly, the hostile responses all came from anonymous people or people with a clear interest in this topic. At forehand, I underestimated the level of explosiveness of this topic. It didn’t stop me from doing the analysis about the crowdfunding valuations again, a bit over a year later. What are the crowdfunding valuations these days? In addition, I analyzed the most frequently offered valuations, which can be useful for startups thinking about raising equity investments by crowdfunding. 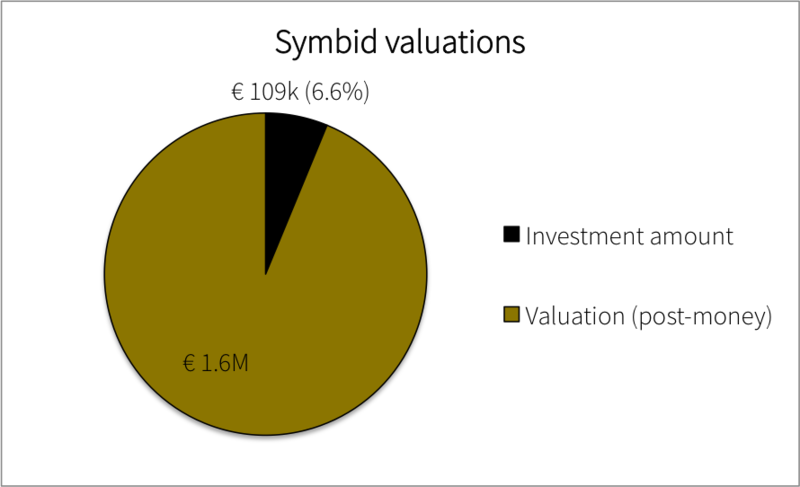 To find out what the crowdfunding valuations are, I looked at publicly accessible data from Symbid, the major equity crowdfunding platform in the Netherlands. Just like last edition, I collected Symbid data manually by browsing its website and searching its newsletter emails with upcoming crowdfunding campaigns. I excluded pledge and one-off projects such as the movie ‘De Surprise’ from my sample. This resulted a total research sample of 145 projects. Projects on Symbid (excluding one-off projects) raise, or try to raise, on average €109k for a total company value of €1.6 million, which represents an average equity stake of 6.6%. How does this compare to last edition?